Your initial visit to our practice will include an extensive comprehensive examination and evaluation of your retina. Prior to seeing your physician, you will sign in and be greeted by one of our professional front office staff members. Please hand any completed online forms to the front desk receptionist along with a copy of your insurance card and your photo I.D. or Driver’s license. 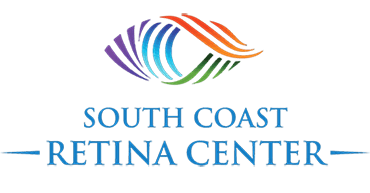 If you did not complete your new patient forms on our web site (www.southcoastretinacenter.com), you will be given a packet to fill out which includes a general patient information form, Health History..etc. Please complete all forms to the best of your ability. If you are visually impaired and unable to complete your form, one of our staff members will gladly assist you. Our experienced back office ophthalmic technicians will document your past and current eye medical history, a general health history, perform visual screening tests, check your eye pressure, and administer drops to dilate your pupils. The dilation process usually requires 5-10 minutes, depending on the color of your eyes. Due to the fact that dilation of your pupils can last anywhere from 4 to 6 hours, we recommend that you bring a driver on the day of your appointment. Next, your physician will review your medical history with you and examine your eyes, paying special attention to your retina. The doctor will explain the findings and, if necessary, make recommendations for additional diagnostic testing. Once a diagnosis is established, your doctor will discuss your treatment options with you, address your questions and concerns, and send a report to your referring doctor, including recommendations for the course of your future eye care. We are committed to providing you with outstanding patient care and to minimize your wait time. Due to the complex nature of retinal diseases, your initial evaluation may take up to two hours from the time that dilation drops are administered in your eye. Subsequent visits may be considerably shorter, but that depends upon your individual situation and the time required for necessary diagnostic tests and/or treatments. Because dilation of your pupils may result in blurred vision and increased sensitivity to light, please bring a pair of sunglasses with you to your appointments. It is recommended to have someone drive you to and from all appointments.